The struggle to have perfectly curled lashes is real. If you're Asian, chances are you have super straight lashes, so we're dedicating this post to you! A lash curler is your best friend. It just makes your eyes look bigger and more awake! It's also your worst enemy. Accidentally pinching your lid or ripping out your lashes is never fun. You know the difference between a cheap and expensive eyelash curler. But you know there's an affordable one out there that works like its pricey counterpart. You just need to keep searching, girl! 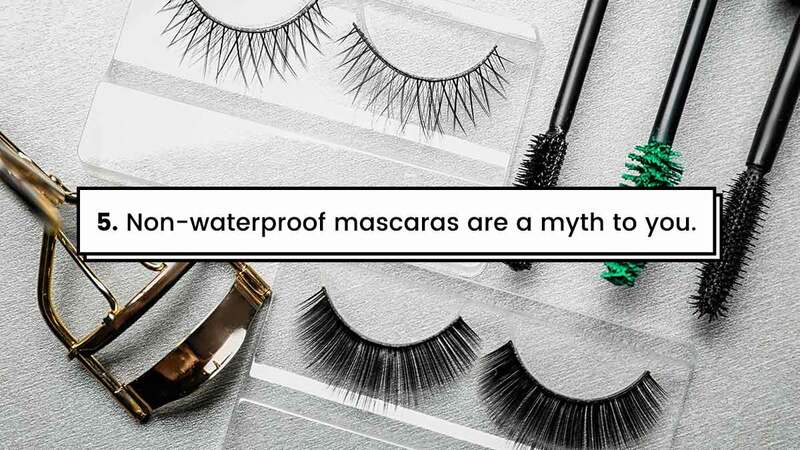 Non-waterproof mascaras are a myth to you. What are these "regular" mascaras? The ones that make lashes droop after a few minutes? No, thank you. You've mastered removing waterproof versions, though. Thank you, cleansing balms and oils that don't sting the eyes! You usually layer two or three mascaras. A little bit of effort is needed to achieve ~*great lashes*~. So when you find one that does everything you feel #blessed. It feels like the heavens parted and the angels are singing to you, right? Waking up with a stray lash inside your eye is normal. Sometimes your lashes grow downward. You honestly don't understand how this could have happened. You've tried lash perming and lash extensions at least once. While they do look amazing for a few weeks, they turn into an awkward mess when you're growing them out. You realize that you'd rather just stick to curling your lashes. EYELASH CURLERS AND MASCARAS, FOREVER!